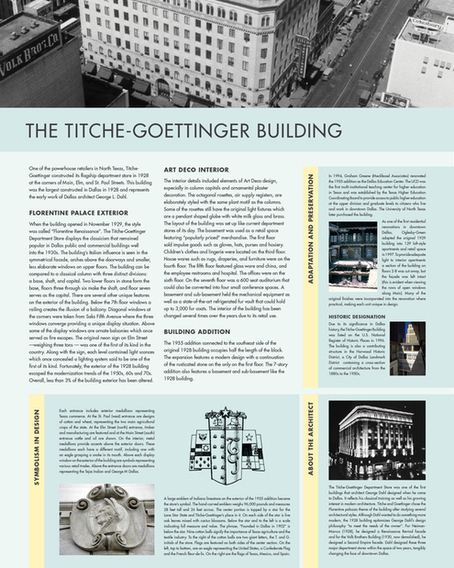 The Titche-Goettinger Building is an important landmark in downtown Dallas, but few people know the history of the structure or the venerable department store that occupied it. Noah worked with 1900 Elm Lofts to research and share this history through the design of exhibit panels and the organization of a Community History Day in 2011. The event welcomed guests to explore areas of the building, learn about its history/architecture and browse several special exhibits. 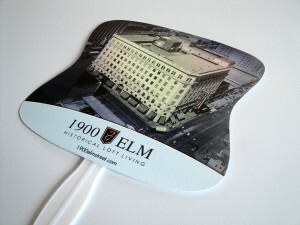 The event partnered the downtown community with preservation and design groups while increasing visibility of the apartments to a wider audience. Showcasing the building’s character and uniqueness provided a unique marketing opportunity which made the property stand apart from others.